NextNav is deploying a dedicated, wide-area terrestrial network exclusively for the provision of location information, particularly in urban and indoor environments where GPS can’t be received. Every element of the network, including its nationwide licensed spectrum, is designed, owned and operated by NextNav for this express purpose. The NextNav network uses licensed spectrum designated for location services. To compute a position, multiple transmitters, arranged with a specific architecture, must be in view of the receiver. This results in transmitter spacing and site selection criteria that are very different than those used in a traditional cellular grid. NextNav precisely surveys every transmitter antenna location, and even takes into account timing variances introduced to its system from cabling runs. The specific location from which the transmission was made is not important in cellular networks but is critical to providing an accurate location. NextNav takes into account numerous other subtle factors (for which it has generated significant IP) to ensure the precision of its location information, and has perfected this capability over the last four years. In location, every nanose​cond counts, and NextNav counts each one. Because it is a wide-area network, the NextNav service works across an entire market and not just within selected locations. NextNav is able to provide service over a wide area using a relatively modest number of transmitters because it relies on lower-frequency, licensed spectrum designated for location services. The NextNav network is designed to complement the GPS satellite constellation. 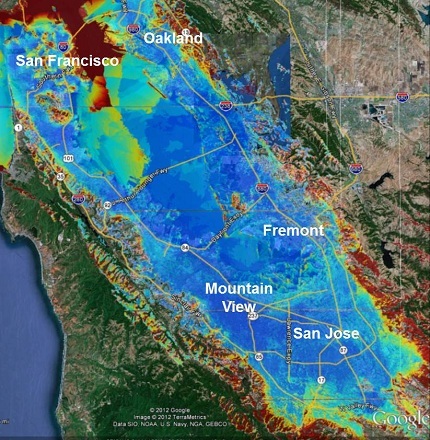 While GPS works well in rural areas and outdoors, its space-based infrastructure doesn’t work well in urban areas or indoors. NextNav is focusing its initial deployment on the areas where GPS isn't reliable, such as suburban and urban areas where indoor usage of location services is the norm. We use our own spectrum, and devices equipped with our technology switch seamlessly between GPS and NextNav’s service. Your GPS will continue to function as it always has. Every element of our location network, from our licensed spectrum to our transmitters, is owned and operated by NextNav exclusively for the provision of location services. We monitor our network 24/7 to ensure that we deliver carrier-grade reliability, and in the unlikely event of an outage can respond immediately. Our network elements feature built-in redundancy and the network itself is designed to provide further redundancy. Location is a critical communications function and we are committed to service reliability. While this type of network is complex to build, deploy and maintain, its output is not complex. NextNav’s partners simply use our technology with existing service platforms. Wireless carriers do not need to deploy any new transmission equipment, nor do they need to modify or otherwise invest in their existing infrastructure. And they further benefit because NextNav’s network is a shared resource, allowing NextNav to offer very high precision location information at significantly lower cost than what can be achieved with dedicated internal resources. NextNav operates this unique network so customers can concentrate on operating their primary businesses. 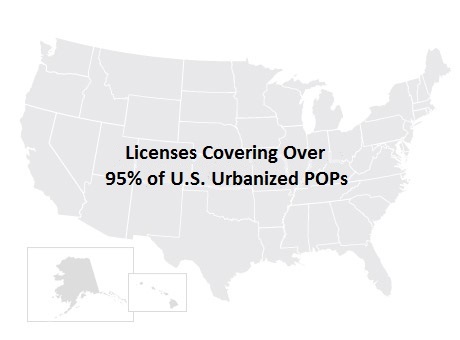 NextNav operates on its own spectrum, with licenses covering approximately 95% of U.S. Urbanized POPs, or nearly 290MM people. This combination of low frequency spectrum and the operating rules associated with our licenses allows us to deploy a lightweight infrastructure that delivers deep in-building penetration and pervasive coverage across an entire market at lower cost. Because our spectrum is licensed across a wide area we can offer guaranteed coverage and deliver a fully managed network solution. 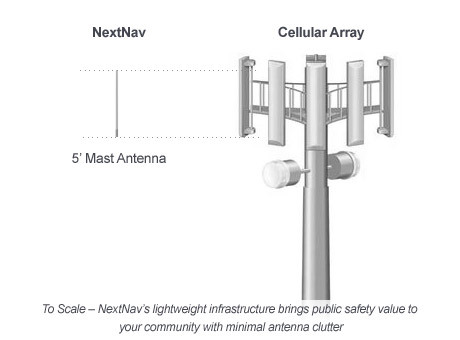 NextNav’s deployment is unobtrusive because we use a single, pole-type antenna attached by a single cable run to transmission equipment that is approximately the size of a roll-a-board. NextNav is committed to providing the highest level of location accuracy for public safety and commercial services using techniques that are minimally disruptive to the entire technology ecosystem, including the outdoor visual environment.